The exhibition “Open Works. Art in Movement, 1955-1975” brings together an extensive and carefully selected collection of works of art from 37 international artists who sought a deep transformation of the role of the spectator through participation and interaction with the work of art. It was one of the last avantgarde art movements of the 20th century, but it is more relevant than ever. We are talking about kinetic art, or the art of movement. The exhibition consists of a choice of works from the leading figures in an international artistic revolution which erupted in Europe in the fifties and sixties. The works revolve around the concept of openness, movement and space, getting away from the traditional categories of painting and sculpture and conventional subjects through experimentation and research with new materials and media and the opening up of the artistic space. The new ideas go beyond the boundaries of a purist aesthetic and are closer to materials and technologies belonging to science and industry, making it possible to explore space, light and movement. 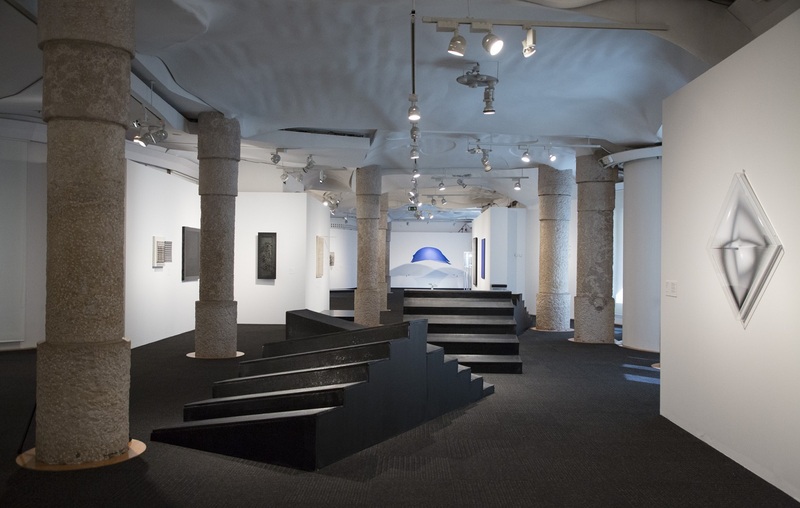 The exhibition, curated by art historians Jordi Ballart – in charge of the Documentation Center of the Atelier Cruz-Diez in Paris – and Marianna Gelussi – an independent curator – presents works by artists with different concerns, such as Marina Apollonio, Alberto Biasi, Pol Bury, Alexander Calder, Gianni Colombo, Carlos Cruz-Diez, Dadamaino, Marcel Duchamp, Hans Haacke, Mona Hatoum, Julio Le Parc, Heinz Mack, François Morellet, Nicolas Schöffer, Jesús Rafael Soto, Takis, Jean Tinguely, Günther Uecker or Victor Vasarely, as well as iconic artists from this movement in Catalonia and Spain, like Leandre Cristòfol, Ángel Duarte, Jordi Pericot, Eusebio Sempere and Francisco Sobrino. The artists seek to establish a dialogue between art and science, bringing us closer to a vision of a constantly changing, moving world. The network of artists linked to the new principles of the age, with important political and utopian implications, promoted a far-reaching transformation of the viewers’ role, as it gives them an active function through participation and interaction with the work of art. The concept of open work, theorised by Umberto Eco in 1962, is that of multiple, changing work – a field of infinite possibilities open interpretation by the observer. The work requires the observer’s participation and establishes a new relationship of enjoyment and use of the artistic object: in this way, the observer becomes its co-creator. Open work is the metaphor for a new view of the world where reality is perceived as something unstable, ambiguous and in perpetual mutation.